Kenyon Community. What the heck is this?? 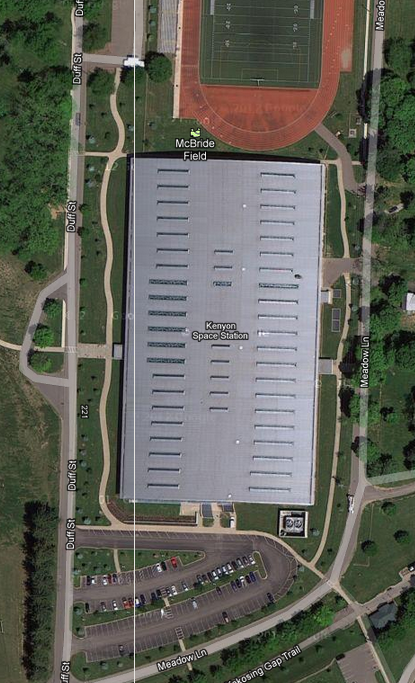 On Google Maps, locating the KAC with satellite images turned on gives you the KENYON SPACE STATION. Somebody call NASA! Ohio’s best and brightest may just be the next ones to the moon.